A-HOTEL.com - Luxury and cheap accommodation in Borodino, Russia. Prices and hotel, apartment booking in Borodino and surrounding. Мини-гостиница features rooms in Zelenogorsk. All rooms feature a flat-screen TV with satellite channels and a private bathroom. Featuring accommodation with a balcony, Apartment on Uritskogo 20 is located in Kansk. Complimentary WiFi is offered. 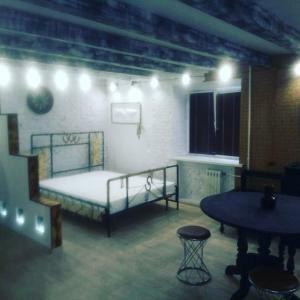 Апартаменты Loft is situated in Kansk. Guests may enjoy free WiFi. Apartment on Nikolaya Budy provides accommodation with a kitchen, located in Kansk. Free WiFi is available. Апартаменты двухкомнатные is located in Kansk. Guests staying at this apartment have access to free WiFi. Situated in Zheleznogorsk in the Krasnoyarsk Krai region, Apartment Kirova 8 has a balcony. Guests staying at this apartment have access to a fully equipped kitchen. Apartment on Komsomolskaya 29 is situated in Zheleznogorsk. This property offers access to a balcony and free WiFi. Apartment on Sverdlova 37a is set in Zheleznogorsk. Guests staying at this apartment have access to a fully equipped kitchen. Located in Zheleznogorsk in the Krasnoyarsk Krai region, Элитная квартира has a balcony. Guests staying at this apartment have access to free WiFi and a fully equipped kitchen. Hotel Centralnaya features accommodation in Zheleznogorsk. Featuring a 24-hour front desk, this property also provides guests with a restaurant. Located in Zheleznogorsk, Sever Hotel offers free WiFi. All rooms feature a flat-screen TV with satellite channels and a private bathroom. Apartments on Lenina is set in Zheleznogorsk. Free WiFi is offered. This hotel is located in the centre of Zheleznogorsk, a 5-minute walk from the City Lake and park. Free Wi-Fi, a sauna and a 24-hour reception are featured at Carlson Hotel. Квартира в центре is set in Zheleznogorsk. Guests have access to free WiFi. Situated in Zheleznogorsk in the Krasnoyarsk Krai region, Apartment on 22 Partsyezda features a balcony. This property offers access to free WiFi. Situated in Zheleznogorsk in the Krasnoyarsk Krai region, Apartment Komsomolskaya 29 features a balcony. The accommodation has free WiFi.